Sometimes life gets busy, which means taking an easy route to a dinnertime meal is in order. Take for example last Fall, when I was in the midst of packing and unpacking boxes to move into my newly purchased home and the latest round of our church small group – which we host! – was starting. 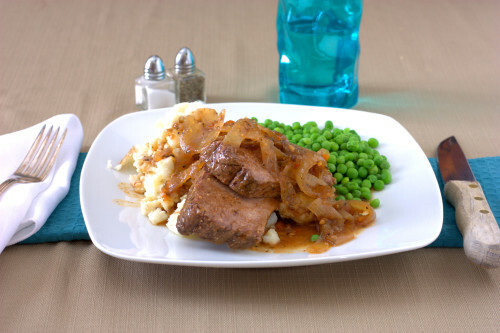 For our first meal I wanted to serve something made in the slow cooker to keep it simple. As I was wandering down the aisles of the grocery store one of the new McCormick liquid seasoning packs caught my eye. 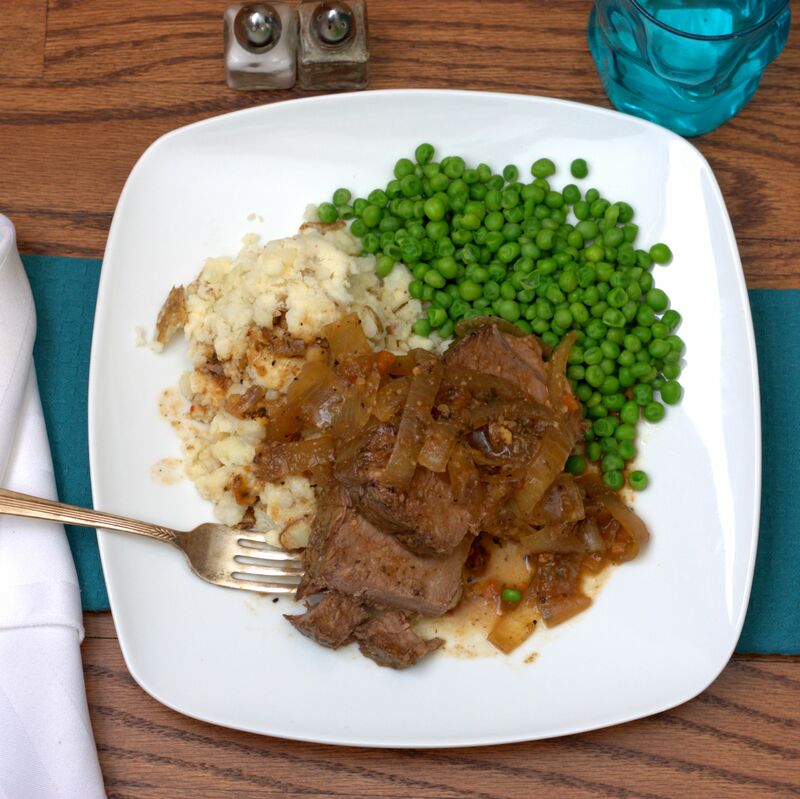 Pot Roast with Caramelized Onion and Cracked Black Pepper – perfect! I hadn’t tried any of the pre-packaged liquid seasonings before, but it seemed like the perfect time to try. While you could use the package on it’s own as it suggests, I chose to add some fresh sliced onion, an Italian dressing dried seasoning packet (a slow cooker tip from Iowa Girl Eats for making Italian Beef sandwiches) and a bit of water to make more of a sauce to go with my roast (and the mashed potatoes I served as a side). I have tried sirloin tip roast and eye of round roast and both come out fantastic and have been a hit with the church group as well as my family. Who knew that such an easy shortcut could taste so good? Oh, and it is one of the gluten free seasoning offerings – bonus! I should end with mentioning that my selection of this seasoning was purely random, and was not sponsored in any way. I’d love to hear what recommendations for the other brands or flavors of liquid seasoning packets you have tried. Add the roast to the bottom of a 6 quart slow cooker. Pour the McCormick’s pot roast seasoning over the roast, then sprinkle the dry dressing packet on top. Cover the roast with the sliced onions and add the water to the bottom of the slow cooker. Place the cover on the cooker. Cook on low heat for 6 hours, then remove the roast, discard the cord used to keep the roast together and slice. Serve with the remaining sauce. 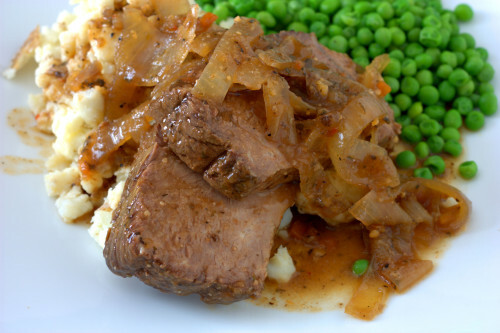 This entry was posted in Entree and tagged beef, slow cooker. This recipe looks great. I’m trying this recipe this weekend. Always looking for a good slow cooker recipe.